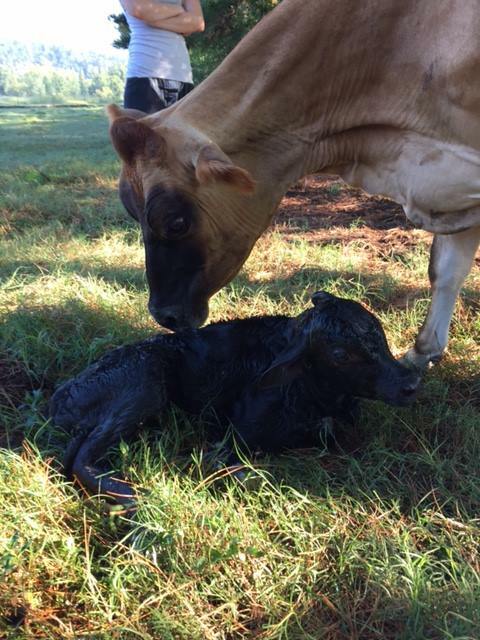 She came to the farm as my first milking cow. 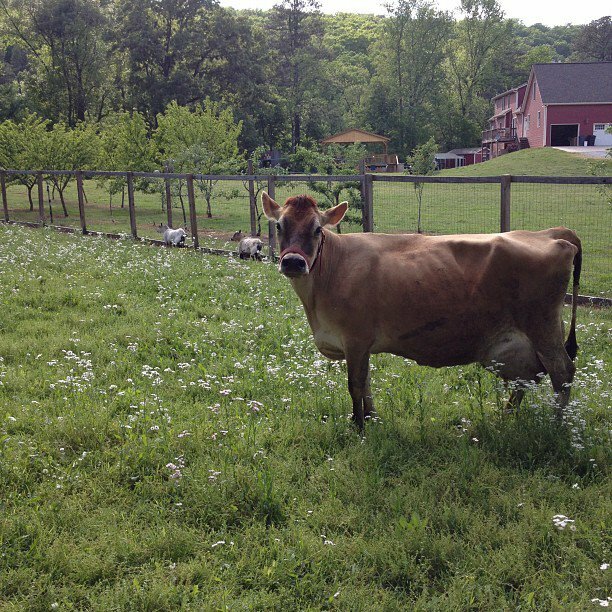 I bought her from a commercial dairy North of here in Tennessee. She was being culled, at the age of nine, and was surely headed to the slaughter house had I not decided she would be a perfect first cow. I was right. Lucy had a great deal of age, but she also had a great deal of patience. She is a "been there, done that" type of cow. Each calving with her has taught me how things can go well or not so well. She has had 3 babies here. 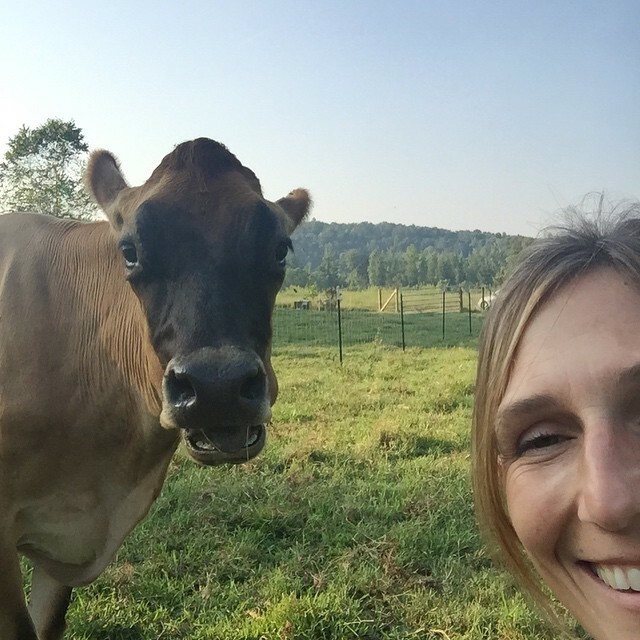 She has been my very favorite cow since we started this milking cow adventure. Today she looks very thin. She staggers slowly into the milking barn. She has steadily lost weight these last 2 weeks, and the rain and cold has not been helpful. Today she looks old, like a soon to be 14 year old milk cow. We bring her in to be milked but instead decide to not milk her. We scratch her ears, feed her a bucket of food and brush her wintery coat smooth. This evening we do the same. We bring her in, scratch her ears, give her a full feed bucket and brush her light brown coat. We tell her how special she is to us. We tell her she is a good girl. A most favorite boss cow. We remind her that spring will be here in a few short months. The grass will be thick and green and the sun will be plentiful and warm. We scratch her neck and turn her back out to pasture with her bovine companions. She staggers out, looking a bit more full and content. Her coat smooth and shiny. She meets up with the others and they spend the evening grazing and then resting. Tomorrow I hope she feels less old and that she staggers less. We will continue to feed her extra and keep her brushed and scratched. Maybe spring will arrive early. She is my favorite cow. My first cow. It doesn't get more special than that. I really like this; you are thinking of Lucy in terms of what's best for her, not in terms of how much money you are losing by not milking her, or how much it costs to just feed her. You are gaining in a satisfaction that many others would not think of: compassion. And I do believe this is what Almighty God meant when he charged man - Adam - to take 'dominion'over the earth and all in it; To truly care, show concern for, do the what's in the best interest of. Thanks for this bit of loving kindness toward Lucy. Thank you. She really is a very special animal to me. Hopefully winter will be easy and spring will arrive quickly! Great article with excellent walk-through!! I am delighted to read this article.